I love discovering new children's books, so I'm happy to be partnering with Parragon Books to review some of their newest titles! 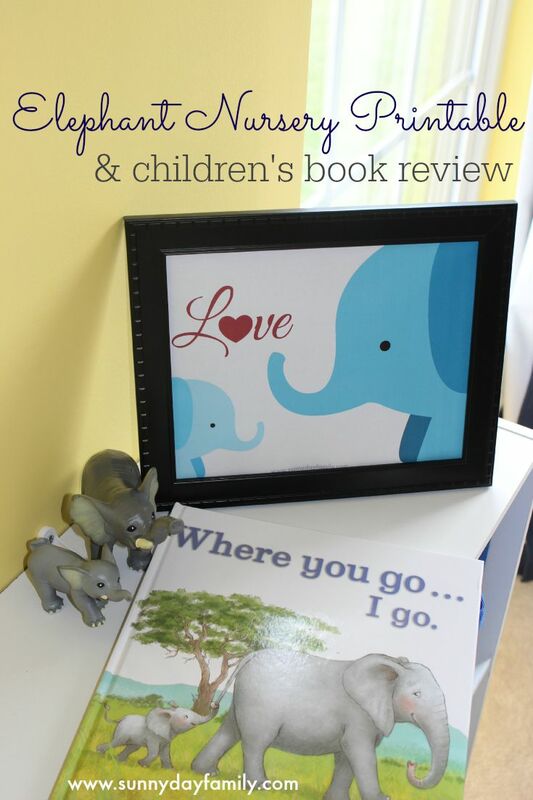 I was just sent a copy of Where You Go, I Go by Beth Shoshan, and it inspired me to create some free printable wall art that is perfect for an elephant themed nursery or playroom. I received this book for free from the publisher in exchange for an honest review. All opinions are my own. This post also contains affiliate links. See my Disclosure Policy for details. The illustrations in Where You Go, I Go are beautiful and captured my animal loving son's attention from the start. He loves elephants and really enjoyed the pictures of the elephants playing, bathing, and sleeping. The story is lovely as well, as it captures the bond of a mother and young child and celebrates their love. The text was endearing and will certainly resonate with moms who have little ones. It is sentimental and sweet (the cadence was a little choppy in parts, but my boys were far more interested in the illustrations anyway). The overall theme of the book was very appealing as a mom with young children who want to follow me everywhere. 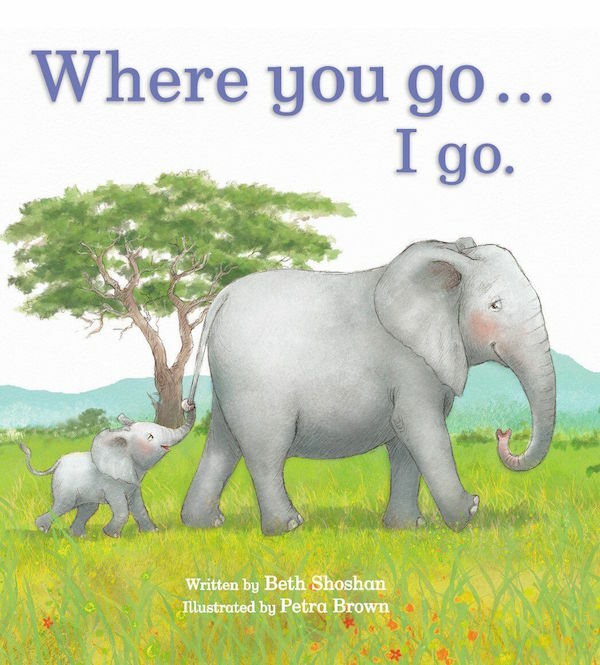 Where You Go, I Go is a good choice for bedtime reading and sends a strong message of love for moms and children. I so appreciated the meaning behind the book, celebrating the love between a mother and child. And since my son loved the elephants so much, I thought I'd make something for our playroom to remind him of how much I loved him. I'm offering it here as a free 8x10 printable that you can download for your own child! Click the button to grab yours. 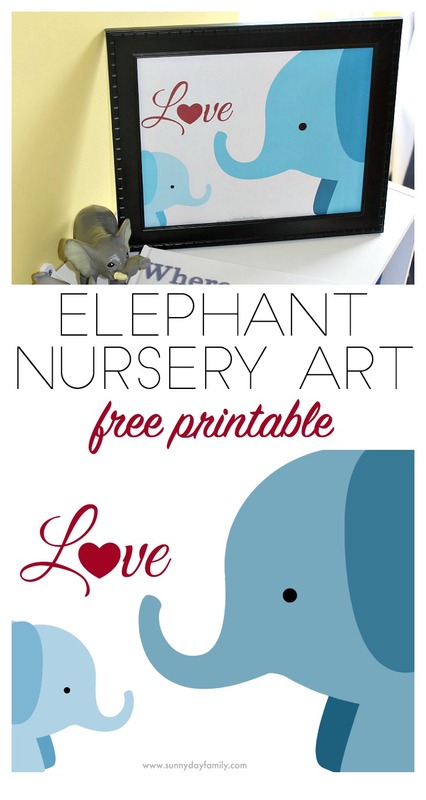 This print is perfect for an elephant themed nursery or child's room. Ours will be framed in our playroom near our reading corner - my kids' favorite cozy spot in the house! The printable is yours for personal use, but please do not sell or reproduce it for commercial use. Please share by directing people back to this page for downloading. Thank you! Love to learn about new children's books? Visit the Children's Book Reviews section of our All Things Kids Books resource! I can see why your boys love the illustrations - they're beautiful. Thank you for the link to the printable!